To recover lost profits in commercial damages litigation, three standards must be met: proximate cause, foreseeability, reasonable certainty. While all three are important, proximate cause does not always receive a great deal of consideration among experts. Although the question of causation is generally left to the trier-of-fact, financial experts not addressing other potential factors for declines in sales or profitability as a part of their analysis can find themselves excluding from testifying. This is because courts have found the failure to consider causation to be a flaw in the expert’s methodology. This article will address the issue of proximate cause in lost profits cases and the danger of not considering other potential sources of harm. To recover lost profits in commercial damages litigation, three standards must be met: proximate cause, foreseeability, reasonable certainty. While all three are important, proximate cause does not always receive a great deal of consideration among experts. This is because many attorneys instruct their expert to assume the damages to the plaintiff were caused by the defendant. This article will address the issue of proximate cause in lost profits cases and the danger of not considering other potential sources of harm. The proximate cause standard is generally stated as, “damages must be proximately caused by the defendant.” In other words, the defendant’s action caused the claimed damages to happen. This principal is true in all compensatory damage cases. Numerous court decisions have discussed and upheld this concept. In addition, many states have added proximate cause wording to statutes addressing the measurement of damages. This question is generally left to the trier-of-fact (the jury or judge). Many attorneys will argue causation is a fact question that depends on the testimony of fact witnesses rather than experts or that it is a legal question upon which an expert should not opine. The principles and methods must have been applied reliably to the facts of the case. In personal damages litigation, the causation issue is seldom, if ever, discussed by a damages expert. As an example, the expert may project the pre-injury income stream for the injured person and subtract the anticipated offsetting, post injury income to show the plaintiff’s “but for” loss. When asked if the actions of the defendant caused the losses estimated in the loss earnings report, the expert will defer to others. Courts have refused “to find causation when an expert neglects to consider other factors that could have caused—or at least contributed to—the plaintiff’s damages, even when the defendant has indisputably engaged in legally actionable misconduct.” Therefore, plaintiff’s experts cannot ignore whether the plaintiff’s damages were caused by the defendant’s conduct or other events. These “other factors” are independent variables not related to the alleged wrongful acts that may have caused a reduction in sales or profits. They encapsulate the other reasons a business may have lost sales or profits during the recovery period in which the alleged wrongful acts occurred. Consideration of other causation factors is important in any commercial damages analysis. This is because courts have insisted that using accepted methodology is not enough. The Fifth Circuit Court of Appeals took a similar position when upholding the exclusion of an expert’s testimony by a trial court. The trial court excluded the CPA’s testimony. But on appeal, the trial court’s decision was reversed. The appellant court noted the expert has laid a proper foundation by examining the business records of the dealership, identified the unique loss, and compared the experience of other dealerships, and the industry in general, to the plaintiff dealership. Whether the plaintiff’s damages were reasonably expected to result from the defendant’s wrongful conduct. To understand the plaintiff’s theory of causation, an expert should examine the current petition, interrogatory responses, depositions of the business owner(s) and/or corporate officers and, if possible, meet with and interview the key employees of the damaged business. From this information, an expert should be able to understand not only the nature of the claim, but also other factors impacting the plaintiff’s industry at the time of its injury. Did any of the plaintiff’s competitors have decreases in sales or profits during the damages period? Did any events or increased competition cause a shift in the demand for the services or products provided by the plaintiff during the damages period? The consideration of the plaintiff’s competition may be very important. The opening of a competitor in close geographic proximity to the damaged business or the entry of a new vendor providing similar services to the same market may have caused a decline in the plaintiff’s sales and/or profits. This decline would not be related to the acts of the defendant, unless the defendant was the new competitor. At the same time, the closing of a competitor may reflect an opportunity for growth for the plaintiff or signal overall market problems for that business sector. In researching other factors, experts may find market conditions that have impacted the plaintiff’s entire industry. Consider a lost profits claim made by an oil field service company for losses from 2014 through 2017. According to data from the U.S. Department of Energy, the price per barrel for West Texas Intermediate Crude was $101.57 on 3/31/2014. At the end of 2014, the price had fallen to $53.45 per barrel. The slide continued to $47.12 per barrel on 3/31/2015 and $37.13 per barrel on 12/31/2015. The price per barrel on 3/29/2016 was $38.52. During the first two years of the claim, oil prices had fallen over sixty percent. This drop in oil prices would seem to have a negative impact on the revenue and ultimately the profitability of any oil field service company. However, while most oil field service firms have suffered, some have been very profitable as they have been hired to make existing wells more efficient. Therefore, an expert would need to examine how the drop in oil prices have impacted the work provided by the plaintiff firm and how the change in prices would have impacted the relationship with the defendant whose alleged wrongful act caused the loss. As a practical example of considering other factors, our firm was recently asked to determine the lost profits in a breach of contract matter for a sub-contractor working in the commercial construction industry. As part of our analysis, we researched the activity in the commercial construction sector in the region where the plaintiff was located. We noted continued market expansion and an increase in demand for the type of services provided by the sub-contractor. We also reviewed legal filings to determine if the plaintiff had been sued prior to or during the alleged damages period by former customers claiming poor performance. No such lawsuits could be found. Our research did not consider all of the other factors that may have impacted the plaintiff’s business, but the results identified positive factors that should have allowed the damaged business to retain market share and maintain its sales and profitability. While we would leave the question of causation to the trier-of-fact, our data strengthened the argument that the damages were caused by the action of the defendant. In the end, we demonstrated to the trier-of-fact that the more obvious other reasons the plaintiff may have been damaged were considered and set aside. Causation is a simple, straightforward concept. Did the defendant cause the harm the plaintiff is alleging? Ultimately, the answer to that question falls to the trier-of-fact. 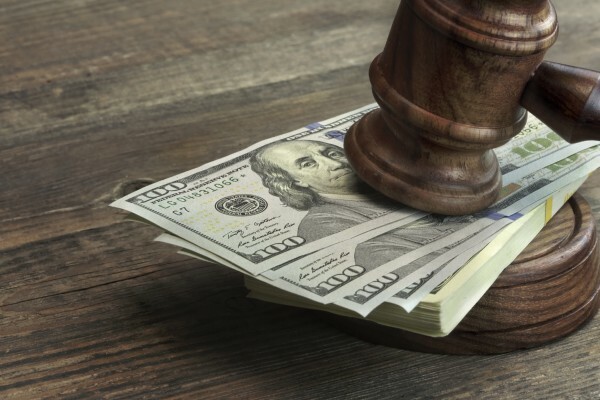 To assist the trier-of-fact in determining causation, damages experts may be asked to not only calculate lost profits but also address other factors which may have impacted sales and/or profits over the claimed recovery period. Fortunately for the expert, the recovery period in most lost profits cases will be in the past. That is, the damages would have been incurred prior to the date of trial. Because of this, an expert will be able to use hindsight to examine the other factors that may have impacted the revenue and profits of the injured firm. For those recovery periods that run into the future, any projections of future lost profits would have to rely on current economic and market conditions for assessing other potential causes for the loss. Any expert attempting to “side step” the issue of causation and other potential factors of causation may create a difficult situation for himself or herself. Showing his or her analysis gave consideration to the other factors that might have impacted the plaintiff’s sales and/or profitability will only strengthen that expert’s testimony and enhance his or her credibility with the court. Therefore, considering causation when analyzing lost profits is one standard which should not be passed over quickly. Causation Issues and Expert Testimony, Litigation Services Handbook, 5th Edition, The Role of the Financial Expert, Roman Weil, Daniel Lentz, David Hoffman, John Wiley & Sons, Inc., 2012, page 3.11. Arthur J. Gallagher & Co. v. Babcock, 703 F.3d 284 (5th Cir. 2012). Causation Issues and Expert Testimony, page 3.2. Concord Boat Corp. v. Brunswick Corp., 207 F.3d 1039 (8th Cir. 2000). El Aguila Food Products, Inc. v. Gruma Corp., 131 Fed Appx. 450 (5th Cir. 2005). Recovery of Damages for Lost Profits, 6th Edition, Vols. 1&2, September Supplement, Robert Dunn, LawPress, page 276. R.K. Chevrolet, Inc. v. Hayden, 253 Va. 50, 480 S.E.2d 477 (1997). Recovery of Damages for Lost Profits, 6th Edition, Vol. 2, Rebert Dunn, LawPress, 2005, page 648. Allyn Needham, PhD, CEA, is a partner at Shipp, Needham & Durham, LLC, a Fort Worth-based litigation support consulting expert services and economic research firm. Dr. Needham has been in the banking, finance, and insurance industries for over twenty years. As an expert, he has testified on various matters relating to commercial damages, personal damages, business bankruptcy, and business valuation. Dr. Needham has published articles in the area of financial economics and forensic economics and provided continuing education presentations at professional economic, vocational rehabilitation and bar association meetings.